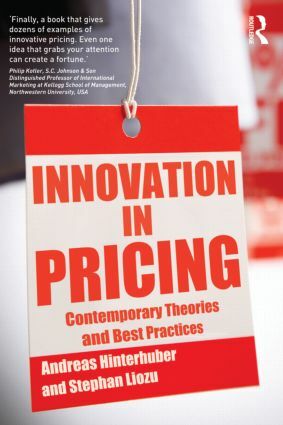 The text examines innovation in pricing from four complementary perspectives. Innovation in Pricing Strategy illustrates how companies implement innovative pricing strategies, such as customer value-based pricing. Innovation in Pricing Tactics deals with innovative tools to measure and increase customer willingness to pay and to communicate value to B2B and B2C customers. Innovation in Organizing the Pricing Function looks at state-of-the art approaches to embed the pricing function in the organization. Psychological Aspects of Pricing illustrates how companies can influence customer perceptions of value and price in their question to implement innovation in pricing.